Why Choose Schultz Appraisal Agency ? Schultz Appraisal Agency understands the need to provide contracts that offer flexibility in order to assist municipalities find solutions that work with their budgetary constraints. Accordingly, we offer a number of creative and flexible options to match your financial needs. 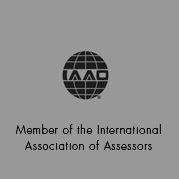 We are committed to provide our assessment services to a selective geographic scope and client type, and this has granted us the ability to offer unparalleled service to our partners. Because we believe it is of the utmost importance to facilitate the ability for municipalities to personally work with individual stakeholders who are empowered to make on the spot decisions without having to consult corporate headquarters before any situation can be resolved. In an effort to continually ensure taxpayers satisfaction SAA gathers input from the taxpayer we interact with on a daily basis through an online website survey tool, and in doing so we are able to(which allows us to) monitors and improve our level of service on a continual basis. Our records are public, and are easily available through the Internet, e-mail, fax or phone. Furthermore, our website offers municipalities and property owner’s access to their information at any time day or night. And currently our office hours are Monday through Friday, 8:00a.m. – 4:30 p.m. and Saturday 9:00a.m. – 12:00 am, however, we also have an 800 number to make it easy to reach us from anywhere in the state. Our drive to utilize and provide the most technologically advance options available allows our firm to be small, nimble, and responsive which is capable of matching and exceeding the larger competitors in the field. 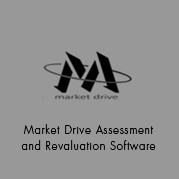 Market Drive is the CAMA (Computer Assisted Mass Appraisal) software we use. 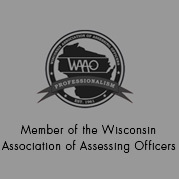 It is the most widely used assessment software on the state of Wisconsin and exceeds all of the Wisconsin Department of Revenue standards. Additionally, a viewer version of Market Drive is providing to all municipalities/Clerks for viewing of data. At Schultz Appraisal Agency we have created a customized web site In order to provide the most current and convenient access to informational resource for both municipal constitutes and taxpayers. Our website offers full municipal assessment data which allows individuals the opportunity to research assessment data to ensure accuracy and equitability. Additionally, we have appointment scheduling for Onsite Review Requests and Open Book appointments which provides municipality taxpayers to schedule appointments at their convenience. We utilize industry standard methodology to determine values, and are highly skilled at incorporating the cost approach, market approach and income approach in our valuation models. 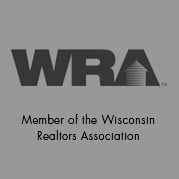 We abide by the standards set in the Wisconsin Department of Revenue Assessors’ Manual Volume II, and The Marshall and Swift Cost Guides.